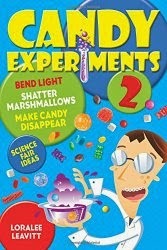 Candy Experiments: Really original trick-or-treat idea! Here's a family who passed out water and oranges at a Halloween Hydration Station, and the trick or treaters had a great time! That's probably the healthiest Halloween handout I've ever heard of.